Many of us have a little proofreader in our head that likes to speak up and point out mistakes. Imagine if you could take that inner voice and use it to make money, gain freedom and make your content amazing. Well, you can. And it’s easier than you think. Below I outline 10 reasons why you should learn to proofread. Proofreading is a great side hustle because you can do it from almost anywhere, anytime. There’s practically no start-up cash needed—you can work online with just your computer and an internet connection. Typically you receive your project and given a deadline, then get to set your own schedule. You can work in the evenings after dinner or tackle projects on the weekends. The stress level is minimal as long as you manage your time well. The sky’s the limit, basically. Wherever words are used, proofreaders are needed to ensure quality and help build trustworthy content. Unless you choose to work as an in-house proofreader for a company, proofreading is a job that gives you lots of freedom. You can even live the dream and become a digital nomad. It’s also pretty cool to freelance from home in your pjs or sweats. Wherever you work, all you need is an internet connection so you can receive and send work, and to do research if necessary. If you’re ready to learn more about proofreading, and see if it’s for you, I have a free 5-day intro course, Proofreading 101, that you can sign up for in the box below! The problem with Spell Check is that it relies on a specific dictionary it draws from, and doesn’t take context into account. It also can’t understand your preferences, like if you prefer the UK spelling of “centre” instead of “center.” While it does catch many spelling mistakes, you can’t rely on it to be 100% accurate. Human beings are the best at catching mistakes. We’re able to catch typos and inconsistencies better than any computer program. We can also slow down, absorb the material and take into account the context, the author’s message and voice. Preserving the author’s voice while cleaning up text is an acquired skill that only a human can do. If you want your writing to be great, or you want people to pay you to make their writing great, then being able to proofread will ensure you deliver amazing content. You do this by developing a style guide, which contains your preferred language rules and style. First impressions count, and people view content that’s full of mistakes as unreliable. Prices vary depending on when you need the job done. For a three-hour deadline the price can be as high as .89/word. Use the money you save to pay off debts or to take that vacation you’ve been meaning to. Aside from saving yourself money, you’ll also save time. Simply put, if you proofread your own work you’ll publish faster because you’re not waiting for someone else to complete it. And, of course, if you’re proofreading for someone else, you’ll be saving them time, as well. It’s true. When you learn how to proofread you will become a better writer. You’ll have a deep understanding of language that’ll translate into what you write, whether it’s an email, a poster, blog post or report. How’s that for two birds with one stone? Who knows, maybe you’ll want to add freelance writing to your arsenal, as well. Proofreading is a valuable skill that you can use to expand your existing services. 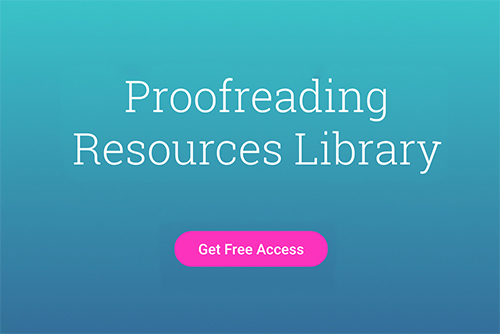 If you’re a VA or web designer you can offer your clients proofreading services, which you can charge for. You can also focus on niche areas like law or technical editing if you’re a lawyer or software engineer, for example. With commitment, your proofreading skills will develop, and you’ll see the benefits that come with knowing such a valuable skill. Start by volunteering to proofread for friends and family, blogs and local businesses. With practice you’ll feel ready and confident to jump into the job market. Whether you learn to proofread just to improve your own content or want to earn some money, you’ll find it to be very rewarding. Do you know other benefits of proofreading? Share in the comments! I appreciate that you talked about the importance of learning how to proofread to ensure you deliver amazing content. I’m currently writing a school paper, and I’m practicing on how to polish my work by proofreading. Thanks for mentioning that it’s important to make a good first impression by omitting errors. I appreciate the advice!